To use the phrase ‘the Word became flesh’ (John 1:14) is to make a significant Christological statement about Jesus as the incarnation of God in the form of ‘the Word’ and the second person of the trinity. It is to refer to the doctrine, dogma and mystery of the Incarnation. Within an orthodox interpretation, it is also a statement of belief in the both the divinity and humanity of Jesus Christ, and the Hypostatic Union of these two natures within him (Drum, 1910). It is also to claim Jesus as the incarnation of Wisdom or the logos, and the answer to the Wisdom Literature’s question about where and what wisdom is (Clifford, 1997, p. 15). This incarnation, or Word becoming flesh, is not some minor Christian doctrine, but rather stands at the very core of what we believe about Jesus. In the words of Miles (2005), “Christianity is the religion of the Incarnation. Christians’ core belief is that God entered the human world of bodies and senses in the person of Jesus of Nazareth, whose historical life is normative in its claim about the nature of God and the possibilities for human existence” (p. 1). As such, the Incarnation is a fascinating, vital and evolving area of study for theologians. This essay will attempt to outline the main reasons why ‘the Word became flesh’ is such a significant phrase for Christology and how the person of Jesus has been understood in the past and present. The doctrine of the Incarnation refers to “the Christian belief that as a supernatural or spiritual being, Jesus became human and lived in a physical body for his human life. After this, he reassumed a spiritual existence” (Brackney, 2010). In other words, “According to this doctrine, God, in one of the modes of God’s triune being, was once and for all made human in the person of Jesus Christ. He alone was and is God incarnate. Out of God’s steadfast love for humankind, a particular human venue – the history of Israel- was prepared for the coming of the divine Saviour. Jesus of Nazareth was a Jew, and it was Jewish faith alone that could express in human form God’s nature and will for our salvation” (Hebblethwaite in Musser & Price, 1992, p. 251). This doctrine has been interpreted with different emphasises in different church traditions, but in the Western Tradition it is used to denote “the belief that God has entered into human history in an act of solidarity and redemption, and that this entrance and embodiment are focused on the specific historical individual Jesus of Nazareth” (Patte, 2010, p. 588), The doctrine is rooted in the New Testament, but it was formalised and systematically expressed during the patristic period in response to a range of heresies that arose in this period (see below) (Patte, 2010, p. 588). “To my fish I was deity. I was too large for them, my actions too incomprehensible. My acts of mercy they saw as cruelty; my attempts at healing they viewed as destruction. To change their perceptions, I began to see, would require a form of incarnation. I would have to become a fish and “speak” to them in a language they could understand” (Yancey, 1995, p. 39). There are a range of Bible verses that discuss the theme of the Incarnation, portraying it as a predetermined act of grace by God, chosen before the creation of the world as its foundation and goal. According to Bulgakov (1933), “One can even say that God created the world in order to become incarnate in it, that He created it for the sake of His Incarnation. The Incarnation is not only the means to redemption; it is also the supreme crowning of the world, even in comparison with its creation. In the Incarnation, God showed His love for creation” (p. 169). This Biblical witness, however, has been interpreted in a range of ways, and often come under repeated criticism (Hebblethwaite in Musser & Price, 1992, p. 251). A number of conflicts have arisen over time in terms of the doctrine of what Incarnation means for Christology. In particular, problems arose because Christians wanted to say Jesus Christ was both fully God and fully man, not a hybrid or someone who switched from one to the other (Chryssides, p.25). This is a tricky concept that some have said makes no sense, and many people throughout history struggled with it. This issue continues to be debated today. The ancient creeds (particularly Nicaea and Chalcedon) were developed in response to the earliest of these conflicts around the Incarnation, and particularly tried to exclude and reject four major heresies that arose Arianism, Docetism, Apollinarianism and Nestorianism (Inbody, 2002, pp. 57-58). As recently as the twentieth century the theology of Incarnation has been subjected to several radical interpretations that reject Jesus’ divinity and focus instead on how God used him as a man with an intense sense of God-consciousness. This is credited with being the cause of his lasting significance instead of any action taken as the incarnation of God. According to Hebblethwaite (in Musser & Price, 1992) there are three reasons behind this – questions about New Testament evidence of the Incarnation based on critical readings of the text, the idea that it is nonsensical to be both God and man, and concerns that this doctrine demands a rejection of other world religions as sources of salvation and knowledge of God (p. 251). Hebblethwaite believes increasing contact with other faiths will cause continued disputes between non-incarnational an incarnational Christian theologies for the foreseeable future. She also believes that these interfaith dialogues, the complexity of the doctrine, and increased understanding of religious myths and the factors that shaped doctrine development in the early church will be factors that favour the non-incarnational view (Musser & Price, 1992, p. 253), while the early appearance of the Incarnation in the scriptural record, its centrality in mainstream Christian traditions and its moral and religious power as a doctrine, will all favour incarnational views and theology (Musser & Price, 1992, pp.253-254). Although the link between the Incarnation and Christology should already be obvious, as we continue let us focus in on the significance of the Word became flesh for Christology and in particular an outline of several areas where this theology becomes really important for Christology and its relevance today. Christology looks at why Jesus of Nazareth is so significant that he is the figure that stands at the centre of Christian identity and practice (Hellwig in Musser & Price, 1992, p. 83; Inbody, 2002, p. 19). In particular, it deals with “questions about who Jesus is and about why he makes the decisive difference in human destiny” (Hellwig in Musser & Price, 1992, p. 83). The Incarnation is a unique feature of Christian theology. As van Dyke (2010) points out, “In many religions, such as Islam, the idea that God would become a man is not considered merely false but positively disgusting, something the Almighty would never do. To take human form would be beneath his dignity. To Christians, however, this incarnation of God in flesh shows both the unrelenting determination of God to fully reveal himself to creation, as well as the depth of love he bore the world and the lengths he would go to save it” (van Dyke, 2010, p. 72). In addition, Jesus’ status as the incarnate God tells us that we can trust His example as a measuring stick for our own behaviour and how we can become closer to God. In the words of Jones (2008), “As the divine Son, with the Father and Spirit, Christ is the person in whom God relates to, and truly lives with, humankind. On the other side, as ‘elected human’, Christ grounds and exemplifies the proper human response to God’s election, living and acting as God’s ‘partner in the covenant decreed and founded by God’” (pp. 103-104). While the event of Jesus’ incarnation and life is fixed in a particular time and place because temporality is part of being human (Hendry, 1956, p. 154), the example of Jesus’ life gives us several clues as to how Christology can become relevant to our faith and actions as Christians in today’s world through the Incarnation. It becomes an answer as to how an event that took place in the distant past and is separated from us “by a yawning gulf of centuries” can become relevant to us (Hendry, 1956, p. 153). According to Miles (2005), “in every generation Christians reinterpret the significance of Jesus’ life and death in relation to the circumstances in which they live. Commitment to the church as the body of Christ has not required that others’ interpretations must be adopted, but that Christians participate in a centuries-long communal activity of interpretation. As Irenaeus, said, tradition is carried forward in warm bodies; it is not fully represented by writings on parchment or paper” (Miles, 2005, p. 391). Thus each generation must look afresh at the Incarnation to see how it speaks to the issues and conflicts of their own time and context. One interesting modern example is looking at the Incarnation and the significance of God incarnating into the body of a human male from the perspective of today’s feminist movement. If God ‘chose’ to become flesh as a male, the question becomes why, and does this indicate some failure of women? Worse, according to the idea that “what is not assumed is not redeemed”, since God did not assume the flesh of a woman, the doctrine of Incarnation could be seen as jeopardising the salvation of women. Instead, “Feminist theology asserts that incarnation actually subverts patriarchal dualisms by connecting the divine with bodiliness.” The Biblical Wisdom tradition is retrieved, “identifying Jesus’ redemptive ministry as God’s enduring creativity in the world. As prophetic Wisdom, Jesus incarnates the divine inclusive love that effects and delights in the flourishing of all, especially the poor and marginalized. Recast in these terms, the mystery of incarnation unleashes hope and vision for relationships of mutuality that create a discipleship of equals in Christ” (Johnson & Schaab in Patte, 2010, p. 591). Meanwhile the Incarnation has come to be interpreted as having real significance for Christology around the poor, particularly in Latin American theolog where it is emphasised that when “the Word became flesh and lived among us,” (John 1:14) he chose to be born, live and die as a poor person (2 Cor 8:9). He “assumes human life in all its beauty and its vulnerability, in its wealth and its poverty. Through his incarnation, the Son of God, “born of a woman,” gives himself to the poor of the world, assuming the full humanity of the poor, as the Gospels show” (Patte, 2010, p. 590). Therefore through the Incarnation the poor are liberated from their slavery by Jesus and become Children of God (Patte, 2010, p. 590). Likewise, the Incarnation is significant for how we see the church in relation to Christology. According to Guill’en (in Patte, 2010) “The Incarnation is the foundation of discipleship and of the life and mission of the church. As a community of Jesus’ brothers and sisters, the church prolongs Jesus’ incarnation by serving those who are excluded and vulnerable” (p. 590). Also, the church has been seen by some as an extension of the Incarnation, “The church is the body of Christ. It is the extension and perpetuation of the incarnation in the world. It is this because it embodies the same principle and lives by the same life” (Bishop Gore in Hendry, 1956, p. 157). That God chose to Incarnate in flesh and body is significant particularly in light of the influence Greek doecetic ideas of the separation between the body and the spirit have had on the church over time. By reclaiming the bodily incarnation of God in Jesus we reject the idea that flesh is a contamination of the spirit or that we need to be anything other than human to know God. If we are to know Him, we will do it as humans, and we should do so without creating dualities between grace and nature, faith and reason or body and soul (Cooper, 2009, p. 146). This reclamation of God’s bodily Incarnation has become important very important in recent work towards a more Ecological Christology. Eco-theological interpretations of the significance of the Incarnation have found that it forms an essential foundation for the development of an ecological Christology understanding. According to Jason John (2005), “A key strategy in affirming all creation is to link it to the incarnation. Jesus is not just human, but flesh.” He argues “that the incarnation, the centre of Christian faith,“…cannot be construed as anthropocentric or androcentric. God gave God’s self to Creation”” (p. 183). Through the Incarnation Jesus is seen as assuming not only humanity but the flesh of all creatures, embodying all creation to reclaim in from sin (van Dyke, 2010, p. 74). According to Habel (2010), “This Incarnation confers dignity not only on humankind, but on everything and everyone, past and present, with which humankind is united in interdependence… It sanctifies the biophysical world, making all things meaningful and worthy and valuable in the divine scheme. It justifies “biophilia”, the affirmation with and affection for the diversity of life forms” (pp. 1-3). In thinking about the Incarnation we know that as a human “Jesus breathes the same air as all the living creatures on Earth, eats food grown from the same ground and drinks water from the same raindrops. The natural biological processes of human flesh are true of the man Jesus. Jesus smells, tastes and feels in the same way that all humans do. In Jesus, God joins the web of life, becomes part of Earth’s biology.” (Habel, 2010). This has prompted Eco-theologians to develop the concept of a “deep incarnation”, which emphasises Jesus as the Word of God incarnate in flesh from the Earth and as God’s incarnate present on this planet. 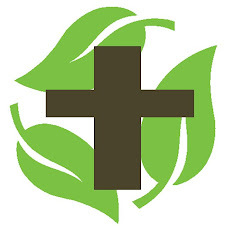 This is “an incarnation into the very tissue of biological existence, the system of nature” (Gregerson in Habel), where we can say that ‘God is wholly in that piece of Earth called Jesus and that piece of Earth, that is holy in God, represents all Earth’” (Habel, 2010). One issue has been the continuing emphasis of Christology on the humanity of Christ and his relationship with human beings rather than his relationship with all flesh and created things. Reid (in Edwards, 2001) suggests that “we instinctively hear the term “incarnation” as referring, not to enfleshment, but to becoming human” (p. 79). Thus, “the majority of even recent contributions to Christology focus on the humanity of Jesus rather than on his fleshliness and consequent kinship to all flesh. The result is that books on Christology tend to avoid ecological themes, and books on ecotheology tend to avoid Christology. This contrasts with a number of recent books on the doctrine of God, and the Holy Spirit, where an ecological perspective does indeed come to the fore” (Reid, in Edwards, 2001, pp. 70-71). Even before we re-examine our Christology we know from the unity of the trinity that if Father God and the Holy Spirit are easily shown to have concern for ecological issues then Jesus must share this concern. The roots of this issue seem to stem from the separation by theologians of two key phrases in the Nicaean Creed, where Jesus “becoming flesh” is affirmed and where this is expanded as “being made human”. This separation developed in the centuries after the formulation of the creed because of the development of an ideal of humanity as rising above the flesh and its limitations (Reid, in Edwards, 2001, pp. 70-71). Yet Athanasius insists that the Word became human“not because humans are somehow better than all other flesh, but on the contrary, because humans are responsible for the corruption and suffering of the rest of creation” (Reid, in Edwards, 2001, p. 75). In order to avoid the perpetuation of this issue, this author wonders if perhaps we should try to switch the emphasis is our Christology from “fully man and fully God” to some derivative of “fully creature and fully creator God” or “fully divine and fully flesh”. As we have seen, ‘the Word made flesh’ and the related doctrine of Incarnation are a very significant part of our understanding of Christology in terms of who Jesus Christ was and what he did (and why that is important), as well as the formation of recent contextual Christologies focused on feminists, the poor and the environment. Reflection on the Incarnation’s relation to Christology has so far proven very fruitful and it seems this will continue to be a significant field for some time to come. Bulgakov, Sergus. (1933) The Lamb of God. Grand Rapids Michigan: William B. Eerdmans Publishing Company. Clifford, Richard J. (1997) Introduction to Wisdom Literature. (Keck, Leander E., Convenor). The New Interpreter’s Bible: A Commentary in Twelve Volumes. Volume V. Nashville: Abingdon Press. Crisp, Oliver D. (2007). ‘Non-incarnational Christology’. In Divinity and humanity: The incarnation reconsidered, pp. 154- 184. Cambridge: Cambridge University Press. Hellwig, Monika K. ‘Christology’. Musser, Donald W. & Price, Joseph L. Eds. (1992) A New Handbook of Christian Theology. Nashville: Abingdon Press. p. 84. Hendry, George S. (1958). The Gospel of the Incarnation. London: SCM Press. Inbody, Tyron L. (2002). The many faces of Christology. Nashville: Abingdon Press. Jones, Paul Dafydd. (2008) The Humanity of Christ: Christology in Karl Barth’s Church Dogmatics. London: T&T Clark. Miles, Margaret R. (2005). The Word Made Flesh: A History of Christian Thought. Oxford: Blackwell Publishing Ltd.
Patte, Daniel. (Sep 20, 2010) ‘Incarnation’. The Cambridge Dictionary of Christianity. Cambridge: Cambridge University Press. Reid, Duncan. (2001). ‘Enfleshing the human: An earth-revealing, earth-healing Christology’. edited by Denis Edwards Earth-revealing earth healing: Ecology and Christian theology,. Collegeville: The Liturgical Press. pp. 69-83. Van Dyke, Fred. (2010). Between Heaven and Earth: Christian Perspectives on Environmental Protection. Santa Barbara: Praeger, an inprint of ABC-CLIO, LLC. Yancey, Philip. (1995). The Jesus I Never Knew. Grand Rapids Michigan: Zondervan Publishing House. To outline these verses: the incarnation was “predetermined before the creation of the world. That is, it is included in God’s pre-eternal plan for the world, in His counsel concerning the world. Christ is the “lamb without blemish and without spot: who verily was foreordained before the foundation of the world, but was made manifest in these last times for [us]” (1 Pet. 1:19-20). Thus was manifested “the wisdom of God in a mystery, even the hidden wisdom, which God ordained before the world unto our glory” (1 Cor. 2:7). In Christ, God “hath chosen us… before the foundation of the world” (Eph. 1:4); He “predestined us unto the adoption… by Jesus Christ to himself, according to the good pleasure of his will, to the praise of the glory of his grace, wherein he hath made us accepted in the beloved” (1:5-6). God thus makes “known unto us the mystery of his will, according to his good pleasure which he hath purposed in himself: that in the dispensation of the fullness of times he might gather in one all things in Christ, both which are in heaven, and which are on earth” (1:9-10). And this is “the fellowship of the mystery, which from the beginning of the world hath been hid in God, who created all things by Jesus Christ: to the intent that now unto the principalities and powers in heavenly places might be known by the church the manifold wisdom of God, according to the pre-eternal purpose which he purposed in Christ Jesus our Lord” (3:9-11)… God’s pre-eternal design manifested His love for creation, which did not stop at the creation but went beyond it; as the act of the new creation of the world, it determined the descent into the world of God Himself, that is, the Incarnation. “God so loved the world, that he gave his only begotten Son… that the world through him might be saved” (John 3:16-17)” (Bulgakov, 1933, p. 168-169). A type of ‘subordinationism’ where Jesus was a creature and “there was when he was not” (Inbody, 2002, p. 52). Christ seen as only having one nature, ie. Christ did not have a human soul (Inbody, 2002, pp. 57-58). The eternal Son took on human flesh but the two natures did not become united in one person (Inbody, 2002, pp. 57-58). Allowing people to form closer and more personal relationships with God through His incarnation in Jesus and gift of the spirit of Christ, the way God’s suffering through Christ makes God a fellow sufferer with us, the idea that we will be gathered up into a community modelled after the relationship between the Father and Son in the end days and the ethical significance of God having entered into the flesh and being part of the social and political dimensions of the world.